Whether or not you are affected by housing instability, there are actions you can take to improve your situation and our communities overall. The low-income rental housing crisis affects more than 11 million people throughout the United States. Minimum wage doesn’t cover the rent for a 2-bedroom apartment anywhere in the country. Close to 2.5 million people were evicted last year, with even more experiencing housing instability. Eviction threatens all aspects of family life: health, jobs, school, and personal relationships. As the Museum’s exhibition reveals, we have an eviction crisis in America. 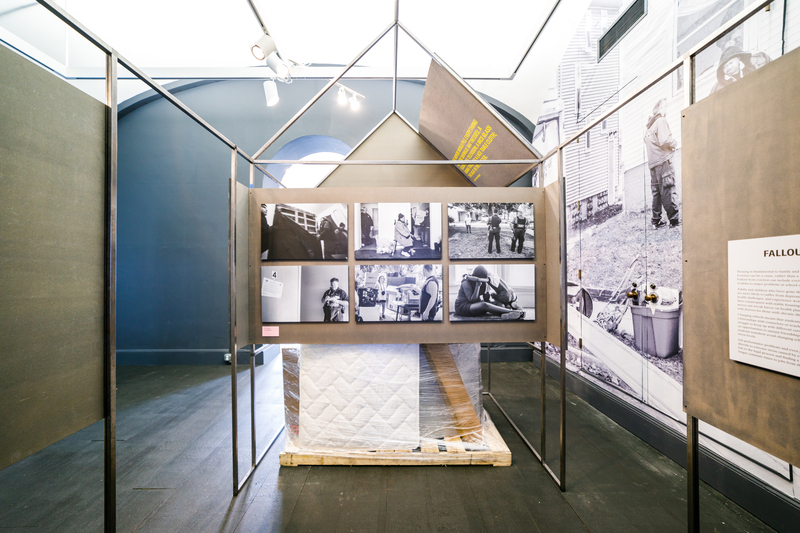 Visit Evicted at the National Building Museum, through May 19, 2019. Read Evicted: Poverty and Profit in the American City by Matthew Desmond. Research eviction rates across the country and see where your area fits in using Eviction Lab, the first-ever database of eviction data in the country. Share the research with local aid groups and elected officials in your area. Keep up with the news, especially recent reporting in the Baltimore Sun and the New York Times. Join a book club or meet up group that focuses on these issues. Learn more about nuisance ordinances and ways you might work on this issue in your community. Nuisance laws penalize people who live in sites where a certain number of calls are made for police service or instances of alleged crimes. Because of these laws, landlords end up removing victims of crimes from their homes, even if the perpetrator does not live there. Advocate for the civil right to counsel. There is no civil right to counsel in America, the way there is for criminal cases. However, some cities (New York, San Francisco) are starting to enact right to counsel legislation. Learn more about right to counsel in housing court, look at the map to find where your state fits in, and bring up this issue with your local legislators. Have other ideas? Let us know about them. You can also download a printer-friendly version of this guide..